Nikolaos Constantine Kavvadias was born in 1977 in Lamia, located in the Fthiotis prefecture of Greece. Following the Panhellenic university admission exams of 1995, he entered the Physics Department of the Aristotle University of Thessaloniki (AUTH) ranking 8th among 220 successful applicants from where he graduated in October 1999 with an overall grade of 8.22/10. In October 1999, he gave the corresponding examination and achieved the highest entry score (ranked 1st) for enrolling in the Electronic Physics graduate program at the Department of Physics, AUTH. He graduated in October 2002 with the M.Sc. degree and an overall grade of 9.41/10. From March 2003 to May 2008, he worked towards completing his Ph.D. thesis entitled "Development of an application-specific processor design methodology" within the Electronics and Computer Laboratory of the Physics Department, AUTH. Following his obligatory military service in the Greek army, he worked at the Department of Computer Science and Technology of the University of Peloponnese from September 2008 to June 2012 as an Adjunct Lecturer teaching the following courses: Compilers I, Computer Architecture II, Hardware Description Languages (Verilog HDL), Digital Circuit Design, Advanced Topics in Compilers (postgraduate course for Theoretical Infomatics M.Sc. programme), Compilers II, and Hardware Description Languages (VHDL). To date, Dr. Kavvadias has attended a significant number of seminars related to digital circuit design techniques. Further, he has participated as a researcher in five research programs (PENED'99-99ED501, PENED 2003-03ED730, FP5-IST-2000-30093 EASY, FP7-ICT-248821 ENOSYS, and FP7-ICT-287733 ALMA) in related disciplines. Dr. Kavvadias is a member of the ACM and the IEEE. From January 2012 to July 2015, Dr. Kavvadias was with Ajax Compilers and helped commercialized high-level synthesis technology. In January 2015, Dr. Kavvadias joined Silexica Software Solutions GmbH as an R&D REngineer. His current research interests include automatic parallelization and compilation for multicore architectures, high-level synthesis, application-specific processor design, hardware description languages, compiler design for custom processors and energy consumption modeling for embedded processors. Nikolaos Kavvadias and Spiridon Nikolaidis, " Design space exploration tools for the ByoRISC configurable processor family," 12 pages, 14 figures, 7 tables. Unpublished paper on ByoRISC, an extensible RISC with MIMO CIs that can outperform most mid-range VLIWs. Nikolaos Kavvadias, " Generating and evaluating application-specific hardware extensions," 11 pages, 15 figures, 5 tables. Unpublished paper on the YARDstick custom instruction generation and exploration environment. 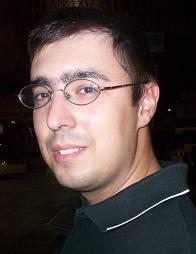 Nikolaos Kavvadias, " Development of an application-specific processor design methodology." Originally under the greek title: "Ανάπτυξη μεθοδολογίας σχεδιασμού επεξεργαστών ειδικού σκοπού." The Ph.D. thesis has been written in Greek and was defended on May 08, 2008. Nikolaos Kavvadias, " Source-to-source transformations: Supporting tools and infrastructure," March 2009. Analysis of capabilities and features of contemporary source-to-source transformation tools from an imperative programming perspective. Nikolaos Kavvadias, " Ph.D. thesis research and beyond: Techniques and tools developed by Nikolaos Kavvadias (2003-2011)," March 2011. A personal account of the highlights of my research from the early Ph.D. years until recently.